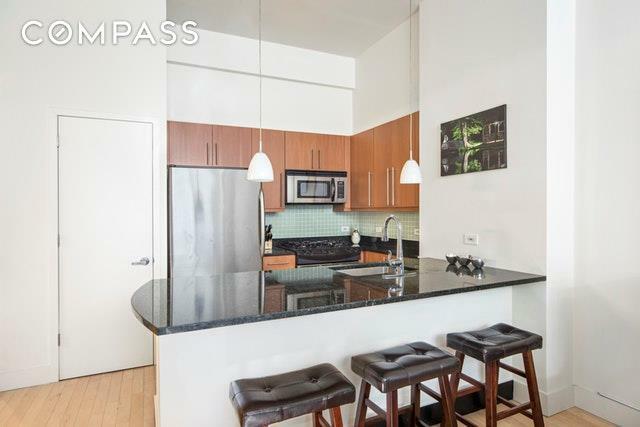 NO BOARD APPROVAL and UNLIMITED SUBLETTING One-of-a-kind 712 square foot 1-bedroom with enormous 690 square foot backyard patio on a gorgeous tree-lined block. Designed by renowned architect Stephen B. Jacobs, this immaculate garden home features floor to ceiling windows allowing for excellent sunlight throughout the day.The open kitchen features granite countertops, breakfast bar, unique glass tile backsplash and oak cabinetry. Opening up to the outdoor space, the living room is designed for comfortable entertaining and relaxation, and is pin-drop quiet. 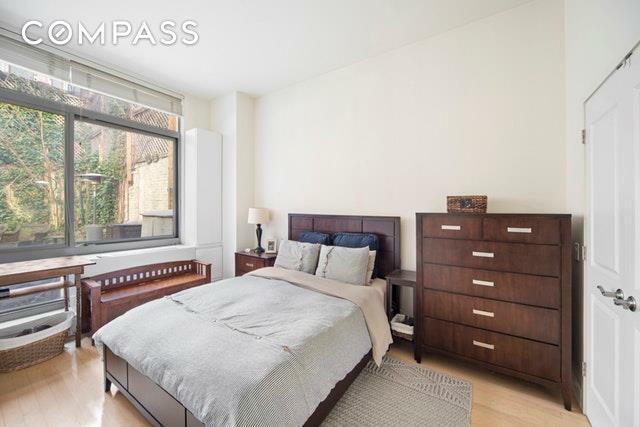 The sizeable master bedroom features a wall of windows and a large custom-designed closet. The bathroom is in mint condition and features Barre gray marble countertops and fixtures by Waterworks and Hansgrohe. Additional features include a washer/dryer, custom lighting, and a large entry foyer.Residents only roof terrace and fitness center. 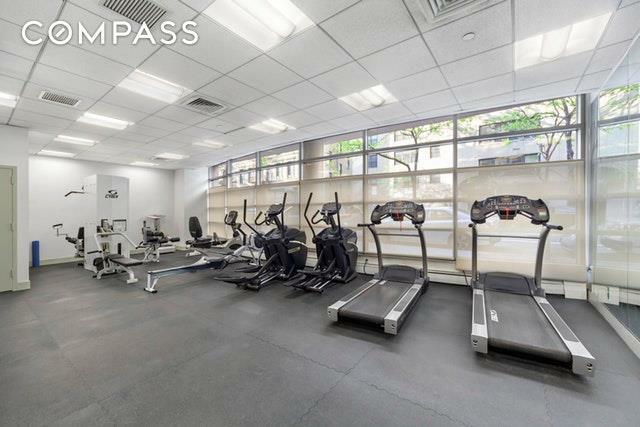 Doorman building on a beautiful tree-lined block conveniently located blocks from both a 50,000 SF Fairway as well as Trader Joes, and close to Madison Square Park. Pets are welcome, pied-a-terres allowed. Live-in super. Bike room. Condo rules. Investors and co-purchasing are permitted. 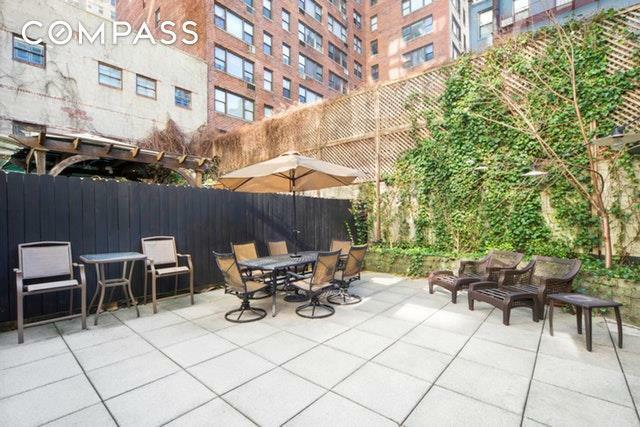 This is an extremely unique offering competing apartments with similar outdoor space regularly command over 1 million dollars!